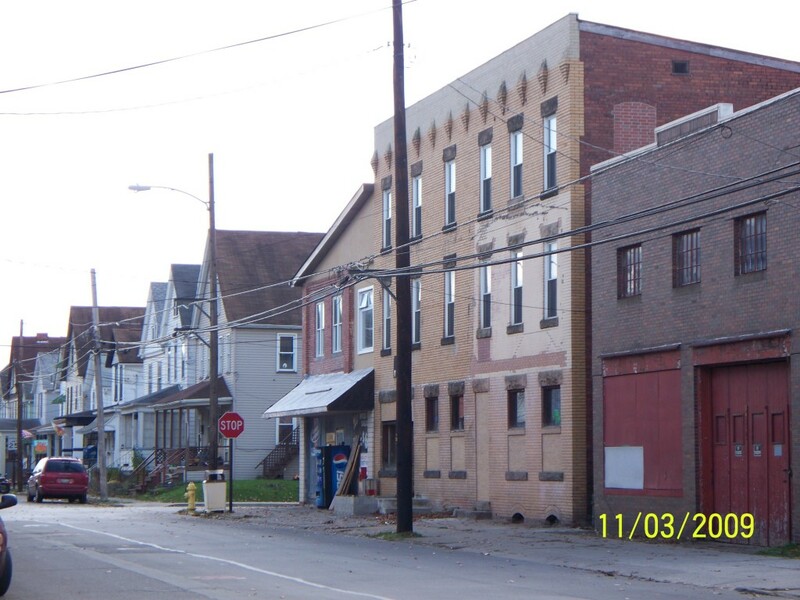 At one time, what we call Wick City was actually Wick Borough and separate from Kittanning. In the center of the Wick/Heilman/Wick plan of lots was the Orr Avenue Hotel. These lots were recorded around 1900, by John Wick Jr., Tyson Heilman, and Fred Wick(brother of John Jr.). The intersection of Montieth and Orr Ave. was the business district and is stilled zoned as such today. On this NW corner stood the Retail Establishment of Rambach and Caplan, this building still stands today, built around 1900. Next to this was the Orr Ave Hotel. 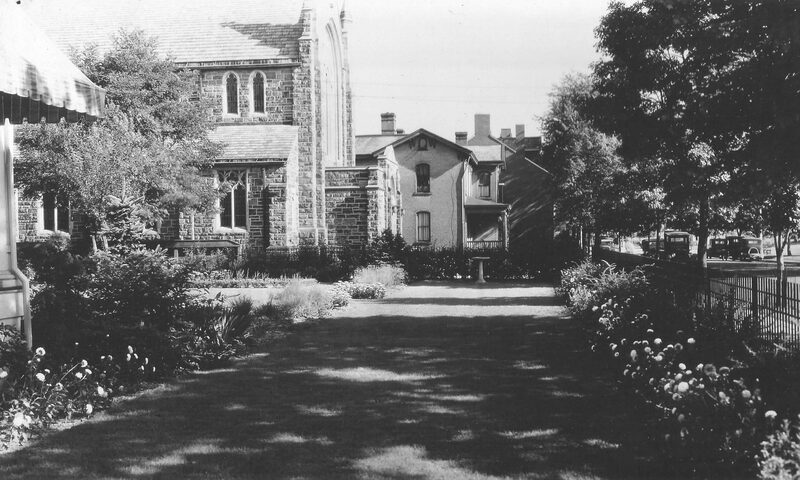 Even though research is taking place, it is figured to be built around 1903-1904. It hasn’t been discovered who built the hotel, but my good friend Mike McDermott, who is affiliated may assist with a title search and this could be answered. Mike has a great interest of finding a photo of the Courtyard apartments that was in the rear of the establishment. Probably removed in the late 60’s or early 70’s. Photo/Article below is from the Daily Times – October 30, 1909. As stated in the article, it appears Fred Barth just managed the place. I did a little research on Fred Barth and he also managed the Cliff Springs Inn in 1892. It stood at the entrance of Applewold, and the west end of the Kittanning Bridge. 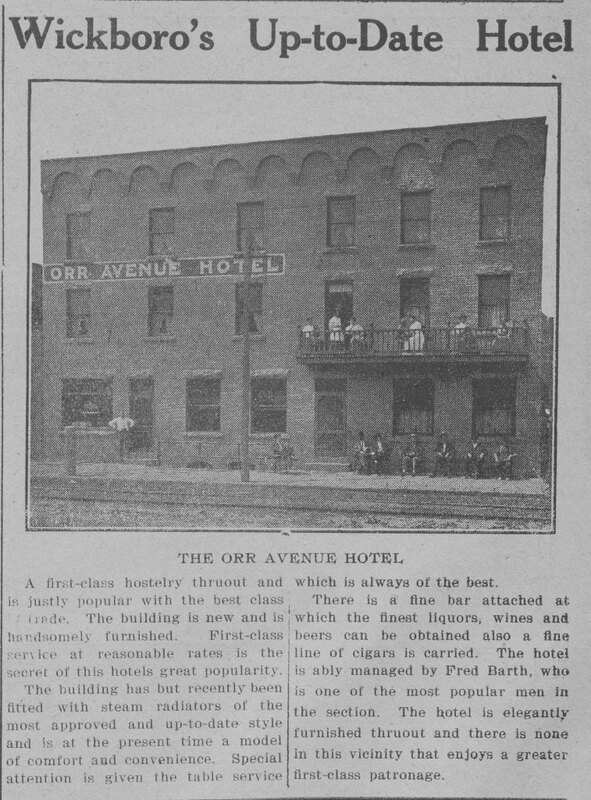 Around that time it burnt, and possibly Mr. Barth continued in other establishments till taking over management of the Orr Ave. Hotel. Mr. Barth had a great passion for horse racing and owned several race horses. I’m not sure if there is a local family connection, but he appears to have died in the North Side of Pittsburgh around 1930s. To my surprise I took this photo almost exactly 100 years after the old newspaper article was published. Here are some mentioned, or known owners/management personnel after Fred Barth. Charles Bayne in 1914 applying for a license. Emil Kaus is listed in the 1919 Polk Directory. CMT Corp. from late 1980’s to current. Further research will continue on this subject by me and the area known as Wick City. Linda Mockenhaupt who has joined us, has a great deal of knowledge on local hotels. I’m sure in the future she will provide greater detail on these establishments. Great stuff you guys, keep up the nice work !! Ya know, my family (both Mother and Father) were born and raised in Wick Boro and I only wish I could have learned more about that area.You are doing a nice job Pete !!! Hi, I am doing some genealogy work concerning my grandfather and recently found out that he perished in the fire which burned down the Cliff Springs Inn in February, 1904. He was a resident of Pittsburgh who traveled to Kittanning to work, probably in a steel or iron-making facility. I was wondering whether you might have any thoughts on what company he may have worked. I believe I have an article from a newspaper regarding the fire or at least saw one. I remember it giving the names of the occupants. I know Fred Barth was the Proprietor at the time and I’ve been researching him as he was to be a World Wrestling Champion and a Racing Horse owner. A pretty grand place as pictured in Geirge Young’s 1898 photograph book. What was your grandfather’s name? Very interested in hearing more about Wickboro. My grandfather, his one brother and he lived in Wick in 1910. I am trying to learn more about their life. Keep up the great work on Wick boro. Next PostNext It’s about Time!! !